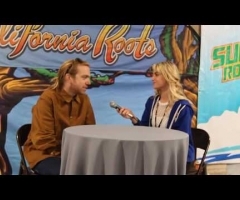 Kristy Rose of Top Shelf Reggae recently interviewed reggae revival sensation Jesse Royal at this past California Roots Festival. Jesse Royal has his debut album dropping shortly, so he talks about what this means for his music, his fans, and his next move. For more Cali Roots 2017 coverage, explore our site for photos, interviews, recaps, and more! Upcoming shows for "jesse royal"